Getting up at 3am after a few hours of sleep is really hard but it is even harder to arrive at the airport getting explained that your altered ticket isnt valid and your plane departed the day before! 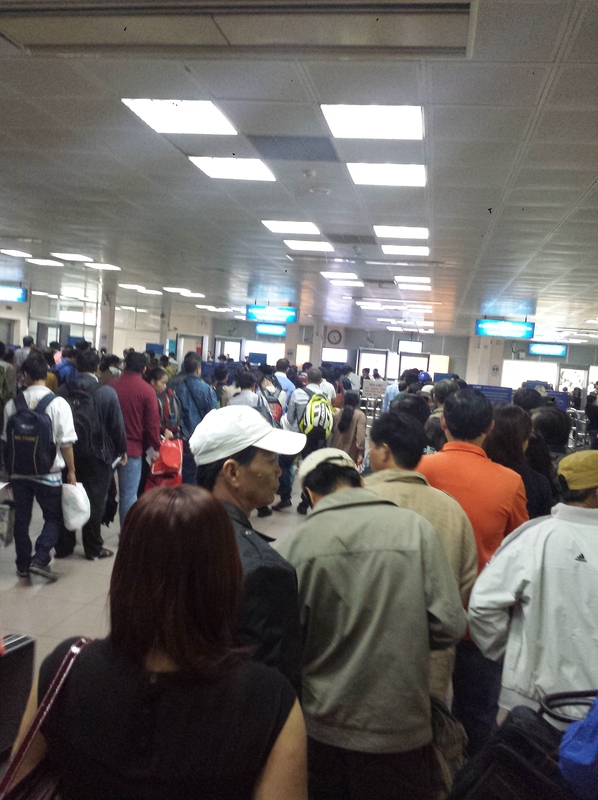 That was the case when I tried to check in today at Saigon airport! But due to my tight schedule I had to go to Hanoi on this very morning!!! So I had no alternative but to buy another ticket 😝 It was around 5am still an hour remaining until take off when I finally reached Jetstars office and there was an available seat too! 165 USD!!! The prior ticket was 60 USD! I had no choice but to buy it 😬😶 30 hours remaining when I reached the security controls! Around 500 people stood there in line in order to get their baggage scanned! My heart was beating very fast in contrast to the crowd which moved really slowly! I arrived at the plane 1 minute before departure 🙂 I was seated next to a very polite vietnamese! He couldnt speak english at all but we were able to communicate due to his Ipad translator 🙂 We sat there typing words into his device writing stories about our home countries and journeys we have made 🙂 Time passed quickly and before I knew it we arrived at Hanoi airport after just two hours of flight! I was glad I got to know this vietnamese guy because he showed my how to get to Hanoi city center! During the flight we had already purchased a ticket for the taxi in order to drive to town! When I got off the car in front if my hotel he gave me vietnamese candies ha ha ha 🙂 I havent tried one yet but I will do so! 🙂 I stayed at Calypso Suites Hotel! The staff was very friendly and the receptionist really tried to do anything to make my stay even better! 🙂 After having taken a shower I started discovering Hanoi! In order to cross a street you have to be in a good health condition and really fast! 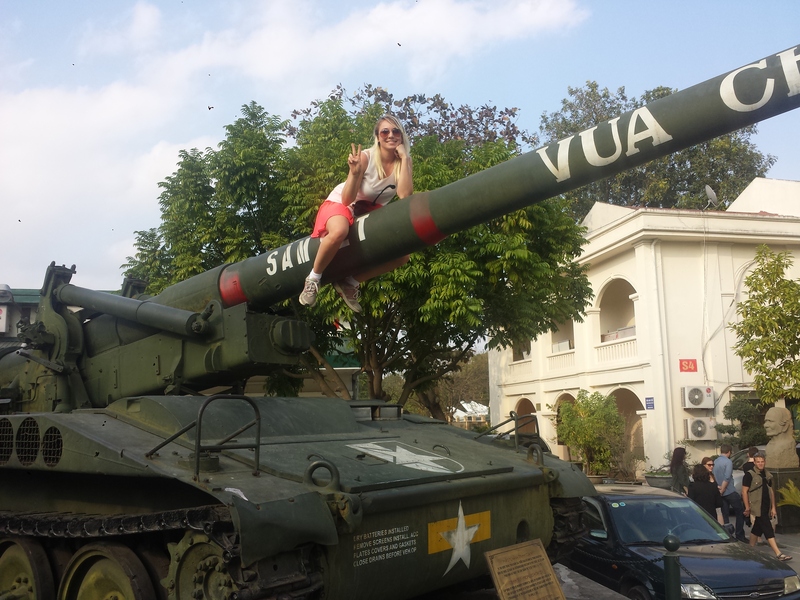 But motorbikes arent the only attraction! 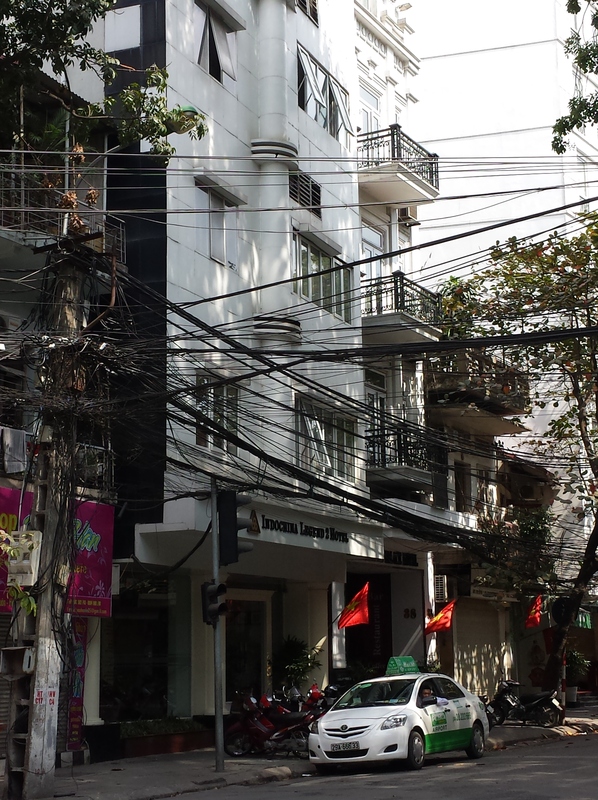 There are power supply lines everywhere drawing mysterious street scenes! As I walked through the streets I noticed that there where hardly any indoor restaurants! Everyone was sitting on the sidewalks eating stuff that was cooked at the same location! This soup is called phở! Its made of beef vegetables and noodles and really tasty 😊 Hanois phở is very famous so you definitely have to try it!!! After an amazing day I just returned to my room! 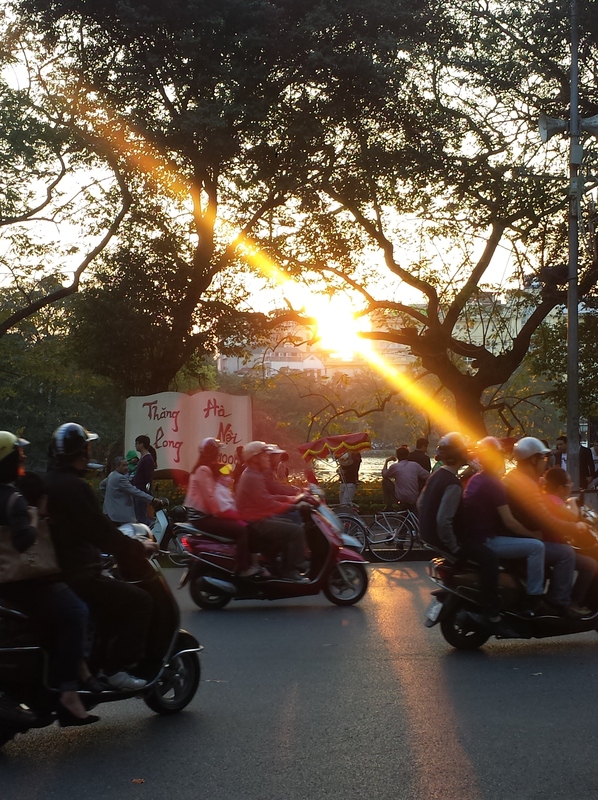 Hanoi is awesome!!! I feel exactly the same! 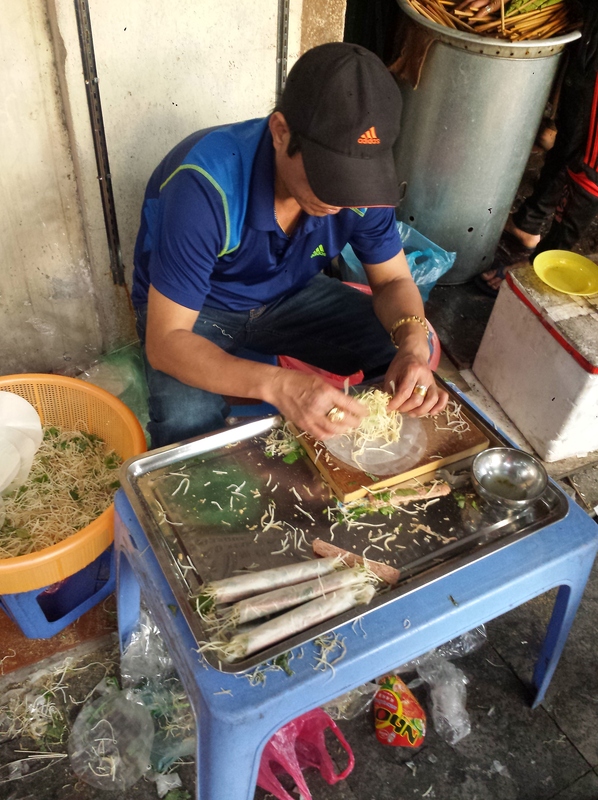 It’s so hard to get good veggies in Vietnam because they use a lot of meat! We went to Vietnam too. Your pics brought back memories . Have written on our trip as well. Enjoyed going through your post. Thank you! I hope you enjoyed your time in Vietnam as well! I absolutely enjoyed it. Thanks. Its an amazing place. Wouldn’t mind visiting again.